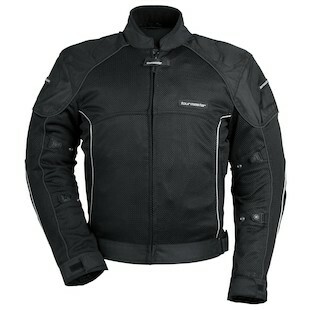 The Tour Master Intake Air 3 jacket replaces the Air 2 and is a three season mesh jacket: spring, summer and fall. With an American cut and boxy fit, it has plenty of adjustability. With a Aqua-Therm two-stage waterproof and insulated liner, the jacket can be configured to match your needs. There are elastic and snap sleeve take-up straps at the forearm and bicep, with adjustable waist belts and TPR pulls to help fine tune the fit. Velcro cuffs have microfiber as does the collar to prevent chafing. Armor-link mesh material and 600 denier Carbolex combine with 1680 denier ballistic polyester in the impact areas. Removable CE armor is at the elbows and shoulders with an articulated triple-density back protector. This Tour Master has great air flow with no loss of protection. Two types of reflective material increase nighttime visibility. 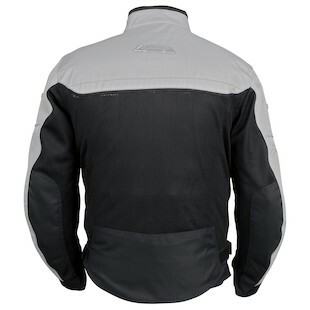 The jacket is available in 6 color combinations up to 4XL, with tall available in sizes M-2XL. 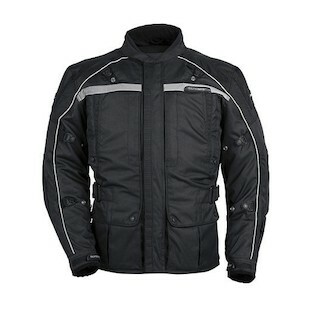 The Tour Master Draft Air 2 jacket is a two to three season jacket. It is the most basic offering in mesh in this lineup and with an American cut tends to run a half to a size large. A step down from the Tour Master Intake Air 3 with a waterproof liner but no insulation. Armor-link mesh material combined with 600 denier Carbolex in the impact areas create a well-ventilated garment with protection. With many of the same features as the Intake Air 3: the CE-approved armor, adjustable sleeve and waist tabs, microfiber-lined collar and cuffs, extra long back and two types of reflective material. 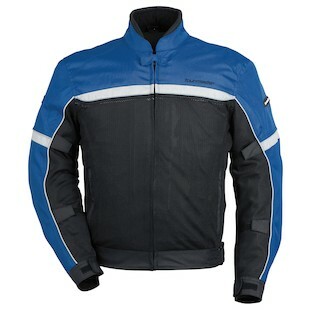 This jacket is available in four color combinations and sizes S-3XL. The Tourmaster Solution WP Air boot is a highly breathable waterproof boot with HiPora waterproof membrane which breathes for warm weather riding and easily covers three seasons: spring, summer and fall. Reasonably priced, this boot comes in both wide sizes and women's sizes. Features include a molded nylon shin protector and ankle guard backed by foam, tecnoGL thermoplastic heel cup and toe cap and preformed orthopedic vibration absorbing footbed. 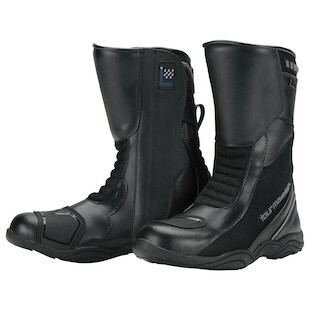 The successor to the original Nomad, The Tour Master Nomad 2.0 boot, showcase numerous improvements. Using HiPora, these boots have a waterproof yet breathable membrane. The slightly lower toe box allows for easier shifting. A removable padded foot-bed with soft interior lining increases comfort. 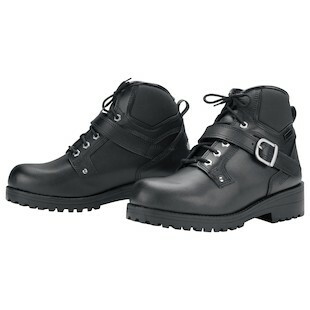 This is a work style boot with lugged, oil-resistant, anti-slip sole. Like the Men's version, the Tour Master Women's Intake Air 3 jacket replaces the Air 2 and is a three season mesh jacket: spring, summer and fall. With a Aqua-Therm two-stage waterproof and insulated liner, the jacket can be configured to meet your comfort needs. CE-approved armor is at the elbow and shoulder with an articulated tripl-density back protector. A zippered chest map pocket, hand warmer pockets, internal pouch and mobile media pocket add to the features. The Tour Master Women's Transition 3 jacket is a 3/4 length 600 denier Carbolex and 1680 denier ballistic polyester shell. 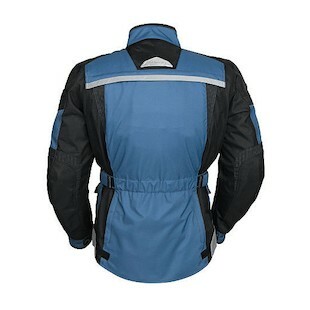 It incorporates a waterproof, breathable Rainguard barrier to keep you dry yet release perspiration. It's a three to four season jacket with a full zip out quilted liner for cooler temperatures and 8 vents for warmer weather. The overall style is refined from the Transition 2 with 360 degree reflective piping, new front pocket design and TPR closure at wrist. 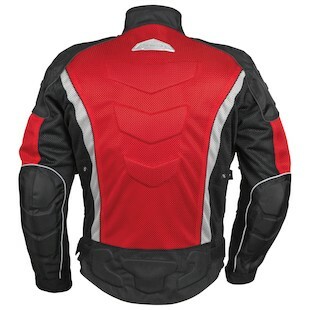 CE-approved armor is at the elbow and shoulder with an articulated triple-density back protector. Microfiber lined collar and cuffs are soft, yet durable. 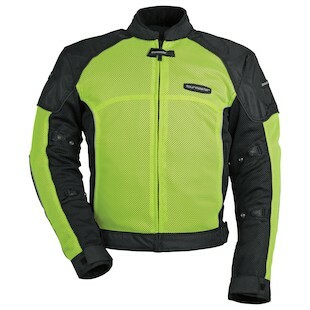 The Transition comes in 4 color options and tall sizes from M-3XL in black and high vis only.